Chateau Etang des Colombes – Luxury-focused. Estate-driven. World-renowned. 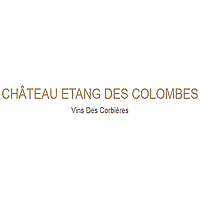 Ask any sommelier in the South of France who he considers produces the best Corbières, more often than not it will be Château Etang des Colombes that is mentioned. This is a big estate, covering 80 hectares, is run by the dynamic Henri Gualco and his son Christophe. All the wines in the range are impeccably made and well priced, but of special note is the “Cuvée du Bicentenaire” made from old vines … Grenache, Carignan and a high proportion of Mourvèdre and Syrah. This wine is one of the best values on our list.